My nonexistant kids should thank me they don’t exist. 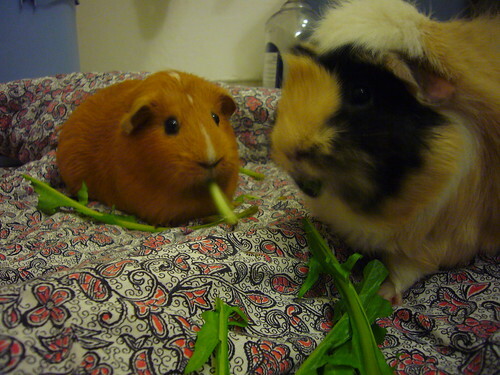 guinea pig party, originally uploaded by kendrak. If I had kids, you know I would totally dress them up in ridiculous outfits all the time. Something like this or this. See, it’s good I don’t have kids. 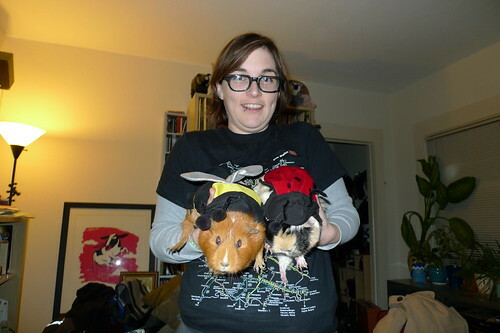 Instead I dress animals up. Preferably like other animals. There’s something really endearing about lazy-hybridization. Screw genetic engineering, I have cute costumes! 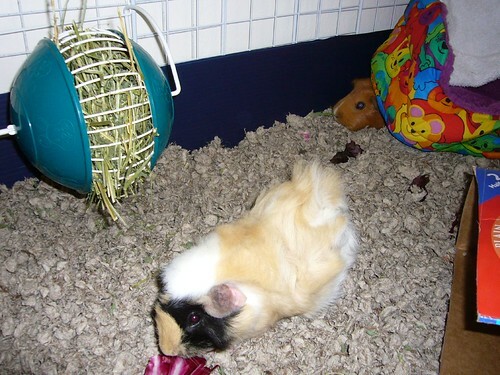 We’ve actually had these for a while, but I try to treat the guinea pigs with respect and dignity. My brother’s fiancée was in town though, and I knew an easy way to win her over was to dress them up (she also loves animals wearing clothing), and thus I shamed the cavies forever. Now I’m afraid they’re going to bite me in my sleep. I guess I asked for it. a&p in the bathroom, originally uploaded by kendrak. ok, so i finally changed some stuff about this blog, like the appearance. it’s amazing, innit? the other thing is that i started a new blog. 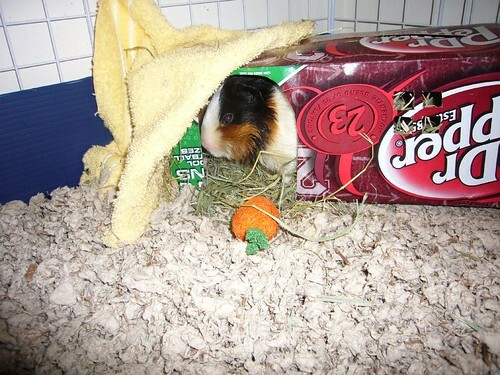 cavyparty.com, which is just guinea pigs. check it out. 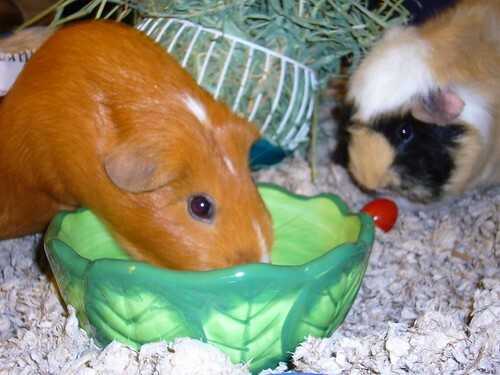 of course if i’m going to blog again, i have to mention the guinea pigs! 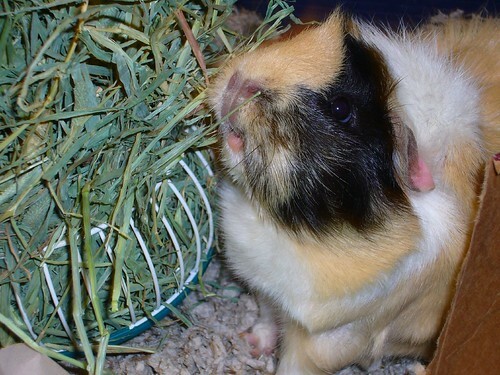 they are fat and happy, and this is why. hay is for a., originally uploaded by kendrak. i think i just died from the cute in this picture. she’s amazing. eatin’, originally uploaded by kendrak. these babies are cute. don’t you agree? they are super lovely. IMG_0980, originally uploaded by Kev Corbin. i need to get my babies on a skateboard! P1030496, originally uploaded by kendrak. abby and polly have settled in quite nicely. polly, the big red one, is in my lap now. cute, eh? 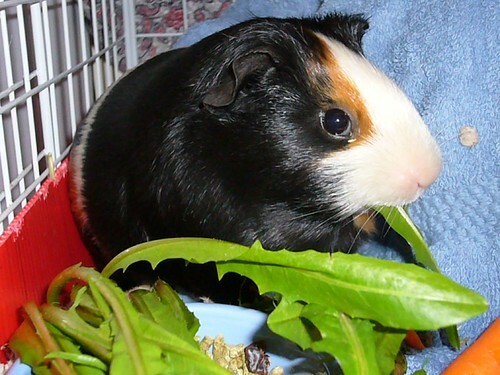 cavies!, originally uploaded by kendrak. 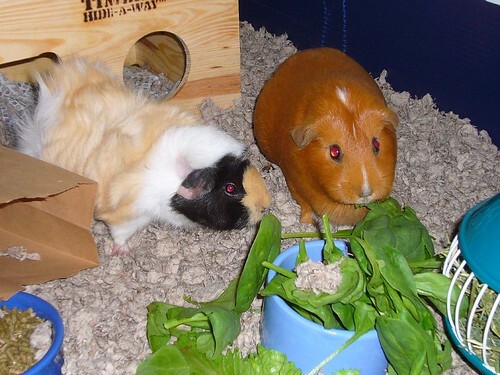 our new guinea pigs! we just picked ’em up today. cute, eh? i need to name ’em still. any suggestions?